I have previously written about my initial experiments with the digital zone plate process using my Lensbaby with the zone plate 'Optic Swap' insert. 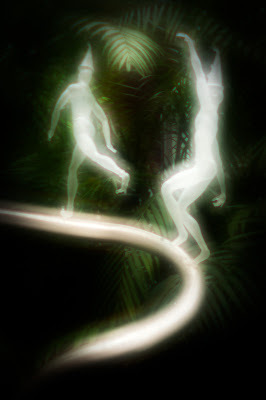 I continue to 'play' with it, looking for more images to include in my 'Dreamscapes ' portfolio. I recently took this photograph using the zone plate at a Frabel glass exhibit at Phipps Conservatory. I was drawn to the surreal appearance the zone plate gave to the glass figures. This one may well make it into the series. For each one of these types of shots that seem to work for me, there are many more that end up 'in the bucket'.